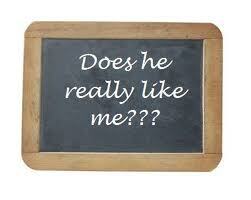 Ever been in a situation where you are interested in a guy or gal but wasn’t sure how they felt about you? Do this spell! This spell will promote a romantic vibration out into the universe. If the person is interested then the spell will make the person notice you more. It will clear any obstacles preventing a potential relationship but won’t force someone to fall in love with you. Cast your circle as you would normally. Anoint your candles with the attraction oil. Place the candles on your altar. Separate the candles a bit because you are going to need room to work. Light the candles and chant the following while braiding the yarn. You can get enough yarn to make a bracelet necklace or ankle bracelet. As you are coming to me, meet me in pure love. I am coming to you, with the heart of a dove. You for me and I for you if we are meant to be, I like you and you like me so mote it be. Braid and chant until the yarn is spent. Place the braid in between the candles and let them burn down. Place three drops of the attraction oil onto the braid. Your love interest should express interest in you within three weeks. If they don’t take it as a sign you are meant to be and move towards someone else. You may burn the braid if this is the case. If you and your love start dating start a keepsake box with this as the first item. When the relationship is over keep the box or burn it and move on. The best day to this spell is Friday the day of Venus, Goddess of Love. You should do this spell on the night of the full moon if possible.